Transform MSG to XLSX spreadsheet files online in a few seconds! Use the MSG to XLSX Online Converter or get a batch App and save time! Description MSG file is a MS Outlook email saved to a separate file. Such mail format is also used in The Bat!, Windows Mail, MDaemon, etc. 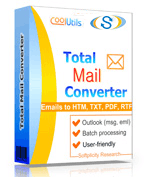 It contains email fields and attachments, supporting both plain text and HTML mail formatting. As a rule, the mail content is encoded by base64 scheme. Encoding is required for mail to pass the mail servers that originally process text only. MSG can be opened in the program version it was created in, and the file will conflict with all other applications.